The game is by zynga's NaturalMotion studios. The people who worked on previous NFS, forza, burnout games are working on this. The game will have a soft launch within weeks in selected areas and will be released later this year. According to them they are bringing " console like graphics to mobile games"
Devs are zynga I forgot to add. CSR2 for now is realsed only in Vietnam App Store for only iOS devices. DavidNFS1 wrote CSR2 for now is realsed only in Vietnam App Store for only iOS devices. For now its only change color of body, wheels and interior. Im forgot to say that also the game feature the rims change.There isnt any rims color change unfortunately. Edit: Uploaded new photos for Dart, F12berlinetta, 650S, AMG-GT, GT86 and Golf GTI and added some information about rare cars that can be win only in Rare Imports in game. i just finished the story/career part of the game last week, and i assure you it's not a pay 2 win game. okay, maybe except for the pink slip boss races (they're not mandatory to progress thru the career btw)... unless your car has some stage 6 upgrades. anyway, i just noticed some buyable cars are missing from this list, and some cars that don't appear in the version of the csr2 i'm playing. okay, i guess this list was last updated back in october 2015 until i added 2 cars. - Aston Vanquish Carbon Ed. Konkordski wrote anyway, i just noticed some buyable cars are missing from this list, and some cars that don't appear in the version of the csr2 i'm playing. Just like NFS No Limits. When I tried to DL No Limits by switching, It would let me view the page but wouldn't let me download it. So I don't think it works. I changed my country to one that had it released. It didn't let me. Lol. If you can't read Chinese I bet it's about impossible to play. Anyway, it's simple to use and not nessesary to jailbrake your iOS device. Can an admin change the title to CSR racing 2 and update the cover. (Link above) plus on my playstore its already there (coming soon) is it on all playstores ? edit : can someone tell me if us store also has a release ? US store? Yup. And yes. The real name is "CSR Racing 2"
Besides, My phone is almost full on memory, and my tablet is now reserved for the new Car Town game. So I don't have space on either device. Well according to Sajmon there's not even a name for it yet. I don't think it will be out any time soon. As for trying it, I may on my tablet for a short amount of time. I can delete Racing Rivals since they stopped supporting it on my device. Just keep these listed as unplayable. Well I tried it with the first boss. Maxed my GT86 before doing the last race and won the pink slip with no difficulty at all. It might be more difficult with later tier cars since the revving and gear shifts are much quicker though, but it still shows that maxing your car before the last race gives you a pretty good shot at winning the boss car. 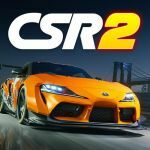 Apparently a new update came out and will feature the new Bugatti Chiron, Liberty Walk Nissan GT-R, and Lotus Exige Sport 350.
speedfreak975 wrote Can an admin change the title to CSR racing 2 and update the cover. (Link above) plus on my playstore its already there (coming soon) is it on all playstores ? There was one in the past but no one post on it except the spam always and always. And if there was a forum, it was the same rules as here because a lot of members send me emails or complains about behaviour of some members. I think a subreddit might actually not be a bad idea. It's actually rather self-maintaining, it needs maybe 1 or 2 mods, and it would probably relieve IGCD from a lot of unnecessary comments. People can discuss irrelevant topics to their hearts' desire and fight over whose pictures are better without cluttering the website. People who don't want to go on the subreddit don't have to of course. I've been saying we need a forum for years now. Not just me either. RD34, JFK, and Razor440 have also mentioned some type of forum being needed before. I think this is a good idea. It can be done easily in a few minutes. Plus there are very few spam bots on Reddit, I've never seen any. there isnt any civic and silvia in csr2. is there ? I guess, Risnpeed, you gonna make the forum? speedfreak975 wrote there isnt any civic and silvia in csr2. is there ? Bumpercars45 wrote I guess, Risnpeed, you gonna make the forum? i don't see how. In the past the forum for IGCD was a free forum made by a specialist site for forum. Im sure you know how reddit works? Reddit is a site where everybody can create their own forum (subreddit). It's entirely free, too. Users can post links to whatever, admins can post public announcements and start threads etc... would you like me to make one? There are some boss cars missing that you race against in Crew battles. Also, these might never be listed, but in the background of some maps you can see low quality versions of the famed traffic cars from Muscle Car 3, Ship Simulator, and World Racing! i don't understand the system. It's not a real forum. And i don't understand why you had already put some mods (and you put Burn Rubber as mod that had do a lot of polemics in the past) so i don't approuve it. Rinspeed wrote (and you put Burn Rubber as mod that had do a lot of polemics in the past) so i don't approuve it. I am incredibly offended by your statement. The past is the past. People change. Have we forgot Purzel86 or whatever it was when Mieguy was wrongly banned? He's an admin now because we saw beyond the past. The point is I do not like this sword over my head for my past behavior. I honestly think I could be a candidate for a good administrator on this website with my new outlook but no one would believe that because on this website the past is also the present. Yes you do efforts in your behavior but sometimes, you are always limit arguing on something always and always. Mieguy i don't remember, i think it's him that was blocked as admin with another when there is a problem of security (someone had take the account of an admin, and i don't know which account, so by elimination, if i remember it was him or Racing Freak, both blocked for a little time, time to say it was the account of RacingFreak that was pirated). There were no ban for him. He hadn't do nothing. The only problem, is i hadn't take the time to prevent him, because for me priority is to secure the site by programming quickly (i prefer that than the pirate erase a lot of info or pics in the same time). So don't talk of that as example. And you do only efforts since one month... Did you want the list of all members that send me mail or messages because they are aware of you??? So, yes i assume what i say, for all this members sending me messages, i can't put you as admin now on the site or on this forum. We will see in the future. Ironically, I am submitting new cars right now. Sorry for lack of productivity. I have actually been super busy lately. (I won't bore with details. IRL stuff) and haven't had time to game at all. Much less for screenshots. But now I should be good for a little while. Edit: what polemics? Sorry I havent really been paying attention to the comments, what did he do? I saw that coming from when I first got the status. Oh just a few (okay a lot of) rage enduced comments and other things. If you actually keep a record of my behavior it spiked a long time ago. Right now we are in new levels of low on the rage meter. But like the SS logos in Forza, some people cling on to the past. Well technically the drama happened on IGCD itself. I have no issues with Reddit. I subscribed to the subreddit, let's see if it'll become active. Also, being a mod on a subreddit is really easy, you just remove spam and everything that doesn't respect the rules. I don't understand why Burn Rubber couldn't do that even if he sometimes argue over nothing. I know but the group would function a bit differently. I'd also go for some normal forums, definitely not that weird Reddit thing. I disagree with Facebook. Mainly because its too personal. We already have the subreddit. If it ain't broke don't fix it. What, may I ask, is wrong with reddit? I don't know. I was quick to join the Subreddit, but I don't even wanna bother with Facebook. Racedriver43 wrote I don't know. I was quick to join the Subreddit, but I don't even wanna bother with Facebook. Not to mention FaceBook is too personal to use for a forum. As far as I'm concerned the subreddit is the best option for a forum. And I'm not just saying that because I'm a mod on there. Let's just make a normal forum then. And like Rinspeed said put proper admins and moderators instead of some unknown dudes. Trust me, Im anything but unknown. Also about the Facebook thing it would be also good because you can get a notification about latest posts and since almost everyone uses it and people spend a lot of time on it then it would be great to use and communicate. And about the personal thing if someone is scared to show his face then he can make a fake account then But if nobody likes that idea then let's make a forum and btw people should use their igcd nicknames if we use such thing. I don't really know who Horizon-something is on Reddit igcd page. sajmon14 wrote Let's just make a normal forum then. And like Rinspeed said put proper admins and moderators instead of some unknown dudes. 6.75 is just ridiculous. The quality of the 3D models is insane considering it's a mobile game. porsche has finally made it in a mobile game other than EA ! speedfreak975 wrote porsche has finally made it in a mobile game other than EA ! Why this of all games? replacing amelias M4,larry spano, shanas evogue. adding lotus exige cup *Finns version and normal. same. it's a really nice game but it got boring in the long run. my other main problem with it however is it's massive file size. my phone stores all of the game's update files on the phone's storage instead of the sd card (it took 30% of the storage too). It came to the point where i can't update anymore because i dont want to remove my other apps to free up space, it's just tedious. Big Smoke: YOU PICKED THE WRONG PAGE, FOOL! Please post on the right game page, but are you a scammer or spambot or something? Why do some images have a black background and others a garage? The Plymouth Cuda "TorC" Weaver Customs "Independence Day Edition" was not added, it was the Independence Award in the ladder match event with three cars "Made in America" (SRT Hellcat, Jeep Grand Cherokee Trackhawk and Chevrolet Corvette ZR1) for three days of event, after running with these cars, you win the Cuda TorC for independence and run into another event called Evolution Cup. Did they change the graphic pack ftype ? In this update we’ll have not one, not two, but THREE exclusive car releases coming your way. First up, we’re bringing you the hottest hypercar release of the summer exclusively to CSR 2: the Bugatti Divo. Revealed at the California Quail Motorsport Meet and paying homage to famous French racing driver: Albert Divo, this is bound to set your pulse racing. Speaking of raising your pulse, we’re also incredibly excited to bring the Lamborghini Aventador SVJ to CSR 2; this car was already crowned the fastest production car at the Nurburgring before its official reveal at California Quail. Last but certainly not least is the Saleen S1 – revealed at the Los Angeles Auto Show, this super lightweight car uses an all-aluminium tub and all carbon fiber body panels, making it one of the most agile cars available. Update 1.22 brings a brand new race mode, available in Prestige and Golden Cup events: Time Attack! Do you have what it takes to climb the leaderboard and beat your rivals? It’s time to prove your racing prowess. In celebration of Porsche’s 70th Anniversary, we’ve partnered with four Porsche aficionados to bring their all-time favourite cars to the game! We’ve already introduced Mark Webber’s Porsche 911 GT2 RS and Akira Nakai’s 993 RWB Rotana – now it’s time to continue with designer and collector: Magnus Walker and super fan and former racing driver: Bruce Canepa! And that’s not all! Alongside the exclusive releases, new events and Time Attack race mode, we also have a host of exciting new cars waiting to be raced. Keep an eye out for a follow-up blog detailing these new cars and an in-depth look at the new features coming in 1.22! So i added the evolution cup amr pro but it did not get accepted, why? All the info we have right now is that's it's going to be released during Q4 of 2018's financial year. Can I help here? I found a mod and now I have all boss cars, even unplayable boss cars, special events cars, and buyable cars with real money. Green Runner wrote Can I help here? I found a mod and now I have all boss cars, even unplayable boss cars, special events cars, and buyable cars with real money. Afaik all the cars are up to date. The only thing you could add is the unplayable cars. As for paid and new cars. Me and speedfreak usually upload them.